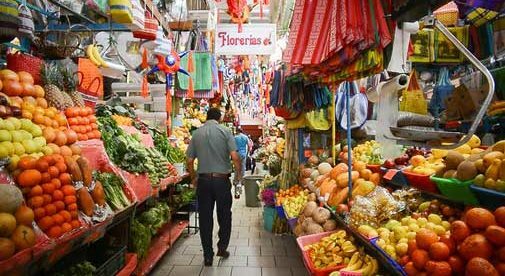 One of the joys of living in Mexico is shopping in local markets, rather than sterile supermarkets or larger department stores. Browsing the market stalls and meeting the vendors is a much more “homely” experience, and brings you closer to the source of the goods themselves. 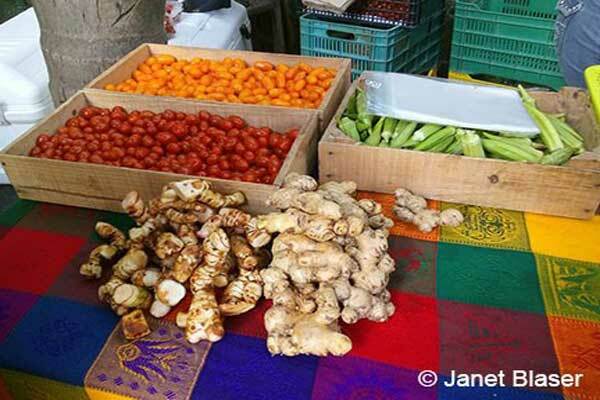 You’ll find fresh, organic, fruit and vegetables in every single market. The roots of this market lie in the surrounding agricultural area. It’s where local families come to town on their weekly shopping trip. In high season, more than 100 vendors sell all kinds of fresh produce, such as locally grown beans, fish, cheeses, baked goods, prepared foods, honey, handmade cigars, plants, clothing (new and used), kitchenware, shoes, pottery, baskets, artisanal Oaxacan and Huichol rugs, jewelry, and textiles. Think an American flea market with Mexican flair. It’s open on Thursdays from 7 a.m. to 2 p.m., all year round. 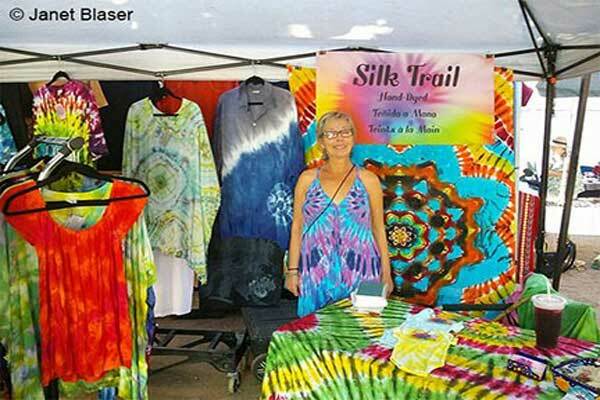 Vendors with a large array of local textiles. More than 100 vendors set up on the meandering waterfront sidewalk of the marina here, where a raucous fish market and shady plaza add to the festive atmosphere. There’s a food court with fantastic things to eat, places to sit and enjoy live music, dance and other activities, and tons of things to see and buy. You’ll find organic local produce, coffee beans, cheeses, and honey, plus beautiful handmade clothing, shoes, jewelry, decorative accessories, and Oaxacan and Huichol crafts. It’s open Sundays, 9 a.m. to 2 p.m., November to April. Colorful clothing on sale at the Lo de Marcos market. 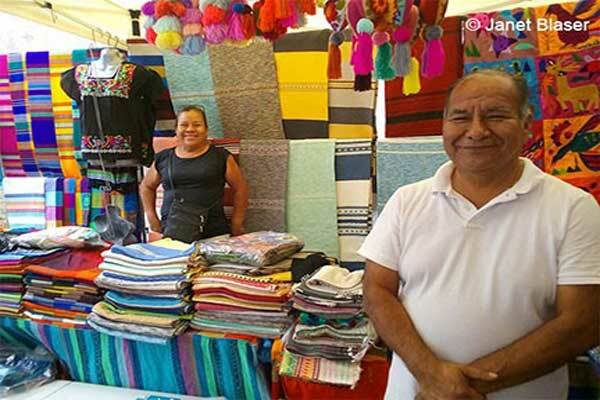 This market features about 40 vendors who are mainly craftspeople (expats and locals) with jewelry, clothing, dolls, Oaxacan textiles, and rugs. There’s also a food court and regular live music. It all happens on Saturdays from 9:30 a.m. to 2:30 p.m., November to April. A local craftsman selling beautifully decorative rugs. Under a covered patio in a plaza, this friendly, small-town mercado (market) offers fabulous prepared foods from a smorgasbord of nationalities, such as fresh breads, pasta, juices, pastries, cheeses, and other local produce. 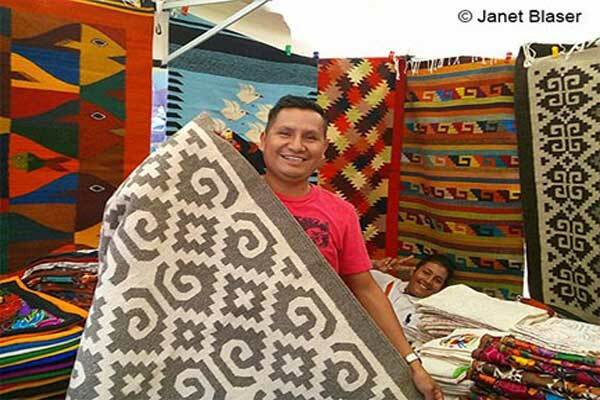 There’s also handmade cotton clothes, Oaxacan textiles, Huichol jewelry, and other crafts. Live music is a feature here too. This market operates on Tuesdays from 10 a.m. to 1:30 p.m., November to April. This free-spirited market offers lots of local, organic produce, such as cheeses, baked goods, natural body products, and herbal remedies. 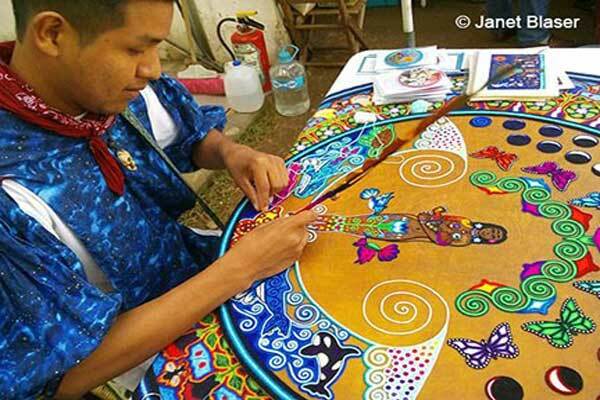 You’ll also find original art and jewelry, handmade silk and tie-dye clothing, and Huichol and Oaxacan crafts. Musicians play next to a shady food court where vendors prepare everything from egg rolls to blue corn tacos and pineapple-mint agua fresca. It’s open on Fridays from 10 a.m. to 2 p.m., November to April.